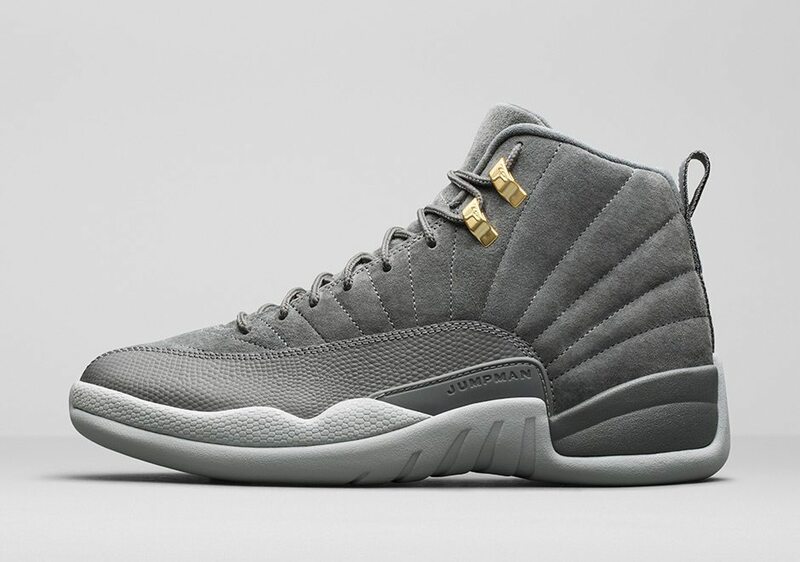 A grey-based colorway of the Air Jordan 12 will drop this weekend. Shades of dark grey upper made up of suede just like the Bordeaux that dropped some time ago, gives the shoe a premium and lifestyle look. 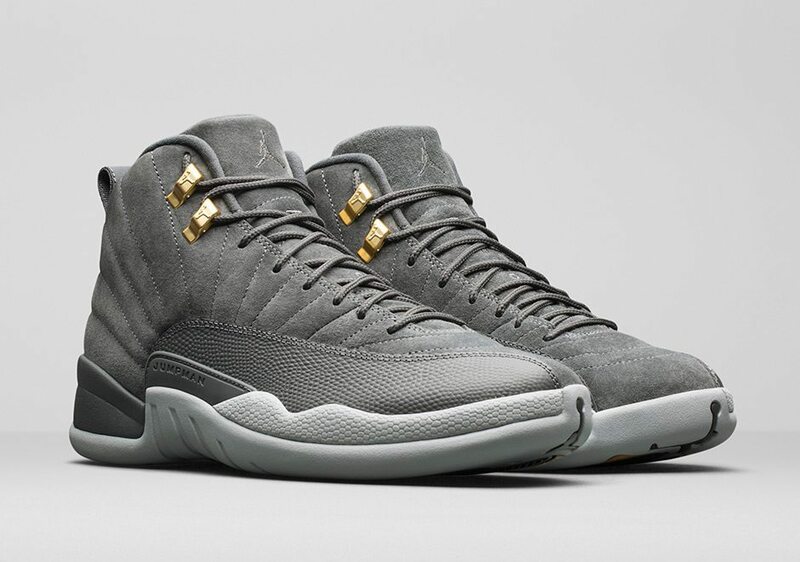 A lighter shade of grey can be seen on the midsole/outsole area with the gold eyelets adding a subtle but was very well-placed, as it makes the whole colorway not too plain and the gold somewhat stands out if you ask me. We can't see if there are any other colors used from the angles here but as I said earlier, the shoe is predominantly in grey. This colorway drops on November 18, 2017 for $190.